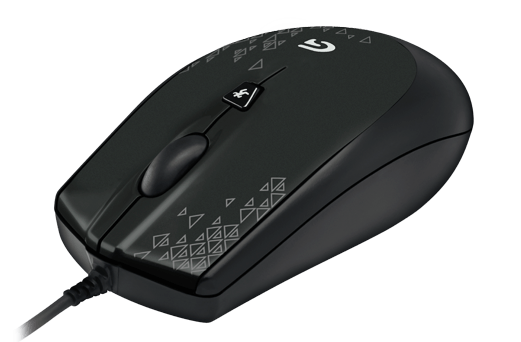 G90 builds on the powerful legacy of G1 and G100 gaming mice with Logitech exclusive Delta Zero� senor optimizations for high-accuracy control. The contoured grip is designed for maximum comfort regardless of your hand size or grip style. The inverted trapezoid shape encourages a natural grip with either your right or left hand. Be confident your every command is executed as quickly as possible. Four times faster than a standard USB mouse, G90 captures your moves as fast as you can make them. G90 is light enough for quick, effortless movement with enough heft for precision placement and solid cursor control. Low-friction polytetrafluoroethylene feet reduce drag for faster motions, smoother cursor movements and improved accuracy. Match commands to your favorite games or use pre-configured customizations with automatic game detection. *Logitech Gaming Software (LSG) is required to customize settings.